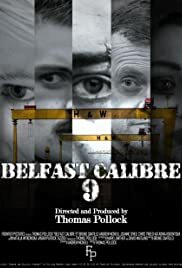 Leo, an Italian criminal is pin-pointed for a human trafficking deal going wrong in Belfast, putting him in the crossfire of two opposing gangs. Slugger has fought through problems his entire life but he's overshot the mark on this one, the land he calls home has withdrawn all further welcome. It's time to exit and face consequence or not exit and face consequence. A traumatized Detective blames himself for a horrific massacre. He soon discovers that the man responsible for the massacre has escaped jail. And so Bowlden must overcome his trauma to stop this killer and avenge those he had lost.